On Saturday 18 October, 02 Academy Brixton will host the biggest Top 100 DJs party to ever hit the UK. The event will feature some of the biggest DJs across the planet with a performance from the artist voted this year’s world #1. Previous winners include the likes of Hardwell, Tiesto, Armin van Buuren, Paul van Dyk, Carl Cox and John Digweed. This year’s line up consists of Dash Berlin, Showtek, Riva Starr, Flash Mob, Copy Paste Soul, plus new additions Aly & Fila, Andrew Rayel, Coyu, Dyro & Don Diablo. 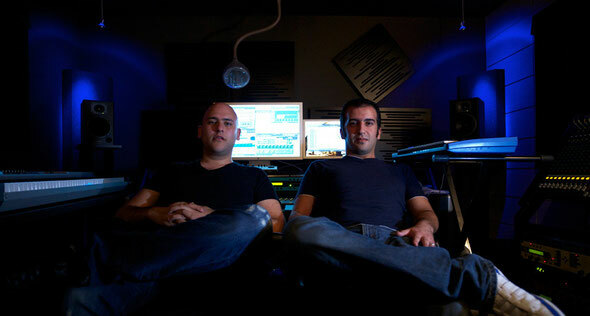 Aly & Fila, who hail from Egypt, were recently voted #1 on the Trance Podium poll taking the place of long standing leader Armin van Buuren. Coming in at #20 in last year’s Top 100, the trance heads look set to climb up this year’s chart. The highest climber in last year’s Top 100 poll joins the celebrations too. At the young age of 21, Andrew Rayel has already played all across the globe and received support from the likes of Tiesto, Armin and Markus Schulz. He’s fast become a core member of the Armada music family and has performed at A State of Trance shows all across the world. 2014 has been good to Dutch born artist, Don Diablo. Performances at Pacha Ibiza, tracks that have hit #1 on Beatport and his ‘Anytime’ Tour has seen him travel from North to South America and South East Asia. Diablo is soon to release his new track on Spinnin' Records. 2013 saw Dyroenter the DJ MAG Top 100 charts in at #30, making him the ‘highest new entry’ artist to ever appear in the poll. Previously signed to Hardwell’s Revealed Recordings, the summer of 2014 has seen him travel the globe. Suara label’s Coyu reached the #1 spot on Beatport and established his label as a known imprint in the world of techno and house. He was also a regular performer at Suara’s weekly residency at Booom Ibiza.